There are several ways to beat the market, and investing in small cap stocks has historically been one of them. We like to improve the odds of beating the market further by examining what famous hedge fund operators such as Carl Icahn and George Soros think. Those hedge fund operators make billions of dollars each year by hiring the best and the brightest to do research on stocks, including small cap stocks that big brokerage houses simply don’t cover. Because of Carl Icahn and other elite funds’ exemplary historical records, we pay attention to their small cap picks. In this article, we use hedge fund filing data to analyze Tegna Inc (NYSE:TGNA). 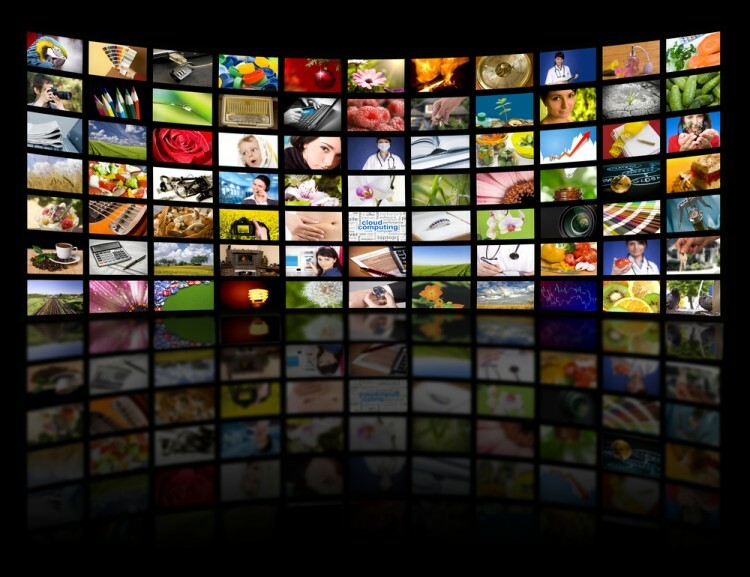 Is Tegna Inc (NYSE:TGNA) worth your attention right now? Investors who are in the know are buying. The number of bullish hedge fund bets inched up by 4 lately. 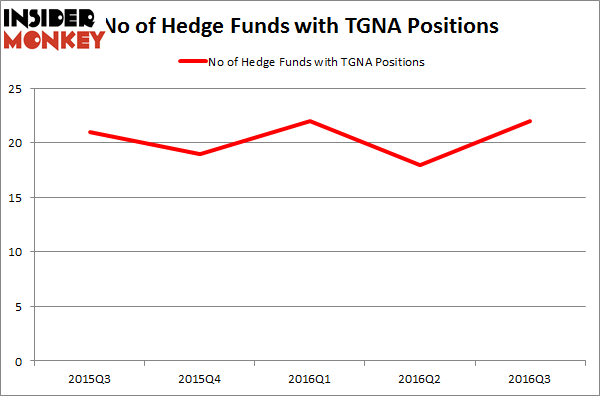 TGNA was in 22 hedge funds’ portfolios at the end of the third quarter of 2016. There were 18 hedge funds in our database with TGNA holdings at the end of the previous quarter. At the end of this article we will also compare TGNA to other stocks including Old Dominion Freight Line (NASDAQ:ODFL), Gaming and Leisure Properties Inc (NASDAQ:GLPI), and TAL Education Group (ADR) (NYSE:XRS) to get a better sense of its popularity. How have hedgies been trading Tegna Inc (NYSE:TGNA)? At the end of the third quarter, a total of 22 of the hedge funds tracked by Insider Monkey were bullish on this stock, a rise of 22% from the second quarter of 2016, returning hedge fund ownership of the stock to its March 31 level. With hedge funds’ sentiment swirling, there exists a few notable hedge fund managers who were increasing their stakes considerably (or already accumulated large positions). According to Insider Monkey’s hedge fund database, Diamond Hill Capital, managed by Ric Dillon, holds the number one position in Tegna Inc (NYSE:TGNA). According to regulatory filings, the fund has a $198.7 million position in the stock, comprising 1.2% of its 13F portfolio. The second largest stake is held by John W. Rogers of Ariel Investments, with a $135.6 million position; 1.6% of its 13F portfolio is allocated to the stock. Remaining hedge funds and institutional investors that hold long positions comprise Cliff Asness’ AQR Capital Management, David Harding’s Winton Capital Management, and David Costen Haley’s HBK Investments.